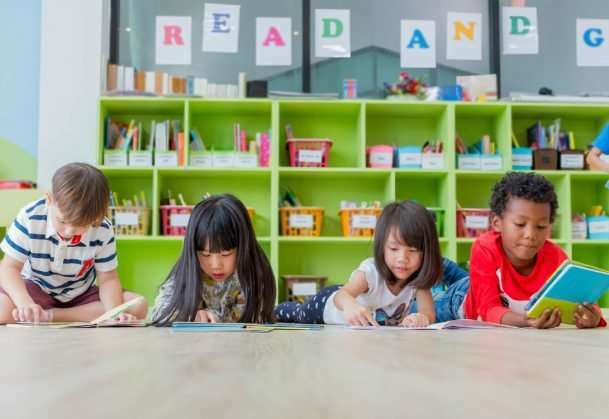 A new scientific report from an international team of psychological researchers aims to resolve the so-called "reading wars," emphasizing the importance of teaching phonics in establishing fundamental reading skills in early childhood. The report, published in in Psychological Science in the Public Interest, a journal of the Association for Psychological Science, shows how early phonics skills are advanced with a rich reading curriculum throughout the school years. "We decided to bring this knowledge together in one place to provide an accessible overview," Nation says. "We didn't want it to be buried in the scientific literature, we wanted it to be useful to teachers charged with the vital task of teaching children to read." For several decades, the "reading wars" have been waged between teachers, parents, and policymakers who champion a phonics-based approach (teaching children the sounds that letters make) and those who support a "whole-language" approach (focused on children discovering meaning in a literacy-rich environment). "Writing is a code for spoken language, and phonics provides instruction for children in how to crack that code," says Castles. "Phonics is an essential basis for becoming a good reader, but it isn't enough on its own—one aim of our review was to describe the other key ingredients that must be combined with phonics to support good reading development." To acquire sophisticated literacy skills, for example, children must progress from identifying individual sounds to recognizing whole words. They must also be able to pull forth the meaning of different words quickly within a particular context in order to comprehend a whole unit of text, whether it's a sentence, a paragraph, or an entire page. "We have a really strong scientific understanding of how children learn to read, and there is no longer any need for 'reading wars,'" says Rastle. "Our review describes this evidence base, and provides concrete recommendations for drawing on it in the classroom." "Literacy opens up knowledge, opportunity, and enjoyment. Building it requires good instruction, solid foundations in vocabulary and language comprehension, and extensive reading practice," Castles, Rastle, and Nation note. "By taking advantage of the strong evidence base around what helps children learn to read, we can support more children to go on to become confident, skilled readers."